Shane joined the Beaufort Group at its inception in 2012 and is Chief Investment Officer for Beaufort Investment. He is responsible for communicating our investment strategy message to clients, both internal and external, as well as overall responsibility for the investment team. Shane has worked in the industry since 1990 and set-up the original model portfolio range in 2004. This has now grown from the original 10 risk managed portfolios to 42, covering active, passive, income and ethical. Shane regularly presents at client seminars, held across the UK and delivers these in plain English to bring clarity from complexity. 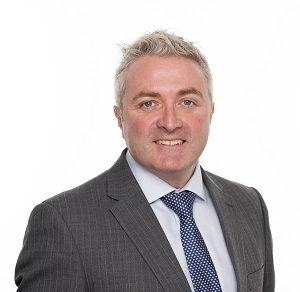 Shane is a Chartered Member of the Chartered Institute for Securities and Investment, a member of the CFA UK Society and holds the Investment Management Certificate. Outside of work Shane enjoys spending time with his supportive family. With two children who have a love of sport, Shane is often found ferrying his son to football matches and his daughter to swimming galas. In the 10 years Shane has been managing his portfolios, the markets have tested the 'Beaufort scale' from 1 to 10, from calm to hurricane. He has always kept a cool head and remained professional. His engagement with fund managers allows him to gain an extra insight into the funds.